Manager’s Letter: Set your New Year’s Resolution with the Chamber! 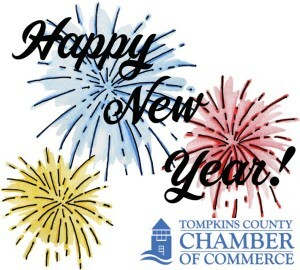 Set your New Year’s Resolution with the Chamber! For most of us, each New Year brings a time of reflection, new hope, and goal setting. The same applies to the Chamber, and no doubt, most of our members as well. With the start of any new year, it is customary to set goals and resolutions for yourself, as well as for your business or organization. Whether your resolution is professional development for your team, increasing your marketing reach, expanding your business, or making new connections, we’re here to support you and advocate for you. We represented business interests in important discussions and supported events related to housing, workforce development, energy, transportation, and economic development. We enhanced our affinity programs and CFCU Advantage Program for shopping & saving local, as well as introduced new low cost marketing options like our popular Chamber E-Blast. We delivered over $114,000 to local businesses for new job training or retraining for 38 individuals. We supported growth of the tourism industry through an innovative partnership with NYS Parks bringing a new Visitor’s Center to Taughannock Falls, and increasing our visitor touch points. We have so much more in store for you throughout 2017, but we can’t do it alone. We will need your continued support, volunteerism, and encouragement over the next year. One of our resolutions this year is to help you achieve your goals. We encourage you to reach out to the Chamber once you set your New Year’s resolutions, and let us know what support you need in achieving them. You’ll find a link below that will allow you to submit your resolution to our Chamber team. From there we will do our best to connect you to the right opportunities or people, and help guide you in the right direction. The Chamber can do its best work when we hear more from our members on what needs you have, and how we can best help you succeed, so don’t hesitate to reach out. I look forward to hearing from you, and helping to make your New Year’s resolution a success!